Authentic Canadian cuisine, fine local wines and an abundance of history and culture lie ahead on this amazing 8-day journey. 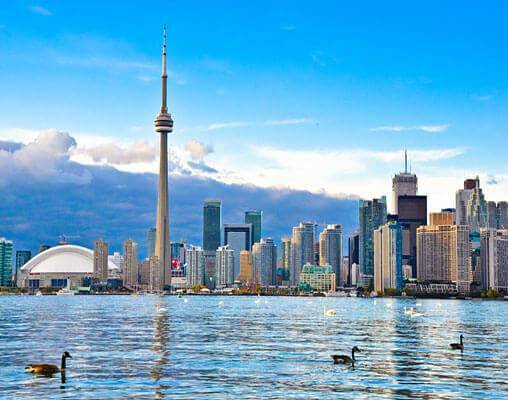 Canada is known for many things: its weather, its abundant nature and its diverse cities. One thing some people might not know is that its food scene is growing and evolving daily, transforming Canada into one of the most exciting food destinations in North America. On this tour, you will experience three of Canada’s great culinary destinations - Ottawa, Toronto and Niagara - for a taste of incredible food and delectable wine varietals. Begin in Ottawa, where you will sightsee through the city on your own and embark on a food and wine tour that highlights locally sourced ingredients and regional specialties. 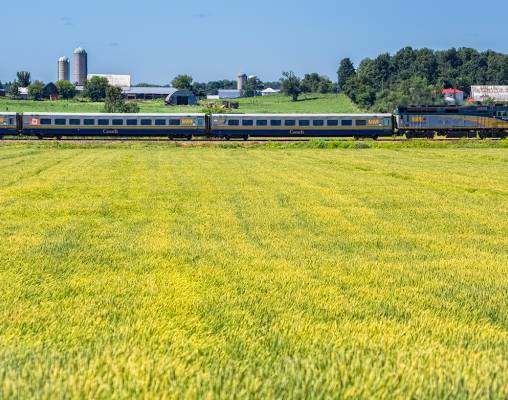 The journey continues by VIA Rail train to Toronto - a booming metropolis filled with interesting museums, a dynamic dining scene and plenty of great districts to explore. The tour comes to a pinnacle as you move onto the final city of the tour, Niagara. While Niagara is known for its iconic falls, many people may not know it is also home to phenomenal wineries that produce full-bodied wines. Your wine tour will take you to some of the best. Come, taste your way through southeastern Canada. Arrive in Ottawa, and meet your driver at the airport for transfer to your hotel, the Fairmont Château Laurier. Perched near the Ottawa River and adjacent to the city’s parliament buildings downtown, you will be within close proximity to some of the best things Ottawa has to offer. You will have the remainder of the day to get acquainted with the city and its offerings. Overnight Ottawa. Fill your day with historic sites, interesting attractions and great explorations as you tour Ottawa on your own. 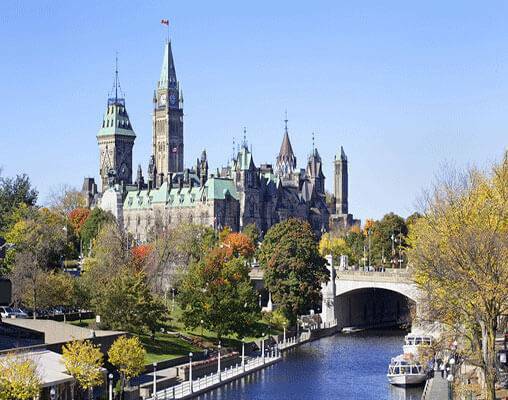 Visit Parliament Hill to admire the neo-Gothic architecture, take a stroll through Jacques Cartier Park or make your way to one of Ottawa’s many museums, such as the Canadian Museum of History, the National Gallery of Canada or the Canadian War Museum. For a different perspective on the city, take a boat ride down the Rideau Canal. ByWard Market is another great place to visit, as it is one of the largest and oldest public markets in all of Canada. This evening, you will get a true taste of Ottawa as you set out on a dinner tour through Centretown. Unique in its offerings, this tour provides a four-course dinner that is spread between four spectacular restaurants. At each location, you will enjoy one course with expertly paired wines. Overnight Ottawa. Make your way to Ottawa’s train station to board VIA Rail’s Corridor Service bound for Toronto. The journey follows a southbound route near the shores of Lake Ontario as the train makes its way toward Toronto. As you arrive, transfer to your hotel, the Hotel Le Germain Maple Leaf Square, which is located near the city center and within easy reach of great sightseeing destinations. With your Toronto Key to the City in hand, you will enjoy discounted admission to various attractions, restaurant perks and more. The evening is yours to make use of it however you please. Overnight Toronto. 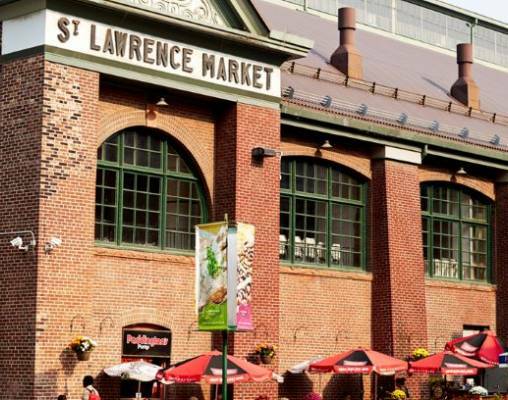 Get a dose of history and culture today as you embark on a guided food tour through Toronto’s St. Lawrence Market and Old Town. You will learn about Toronto’s abolitionist movement and about bootleg whiskey tunnels. You will set your sights upon historic buildings and one of the most impressive collections of stained glass in the city. 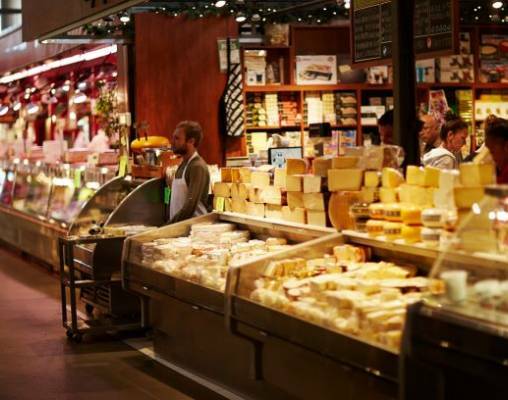 Most importantly, you will sample the diverse cuisine the city of Toronto is known for by stopping at 12 booths within the St. Lawrence Market and sampling 14 different dishes. Some delicacies to look forward to include authentic Jewish bagels, local cheese, candied salmon, Ukrainian pierogies and more. Following the tour, you will have a chance to explore more of the city on your own. Overnight Toronto. Today you will embark on a scenic transfer around the shores of Lake Ontario from Toronto to Niagara. As you arrive at your hotel, you will drop off your belongings before setting out to enjoy the sites around the falls with your Niagara Falls Adventure Pass. Use your pass to cruise on the waters at the base of the falls on a Hornblower, or look at the falls from another angle with a Journey Behind the Falls tour. Overnight Niagara. Today you will journey through the lush Niagara Peninsula to visit two of the area’s renowned wineries. Enjoy a tour and tasting at both locations before sitting down to lunch at a charming eatery on the water. 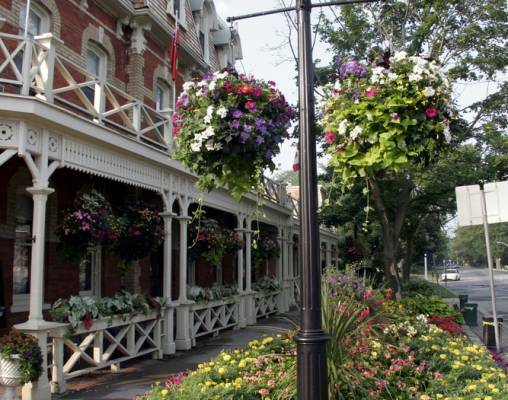 After lunch, you will have time to explore Niagara-on-the-Lake. Take a walk through the oldest part of town for a look at beautiful 19th century buildings. Stroll along the tree-lined streets. Peruse the shops and boutiques. Soak in the splendor of yesteryear. Following the tour, you will return to your hotel, where the remainder of the evening will be at your leisure. Overnight Niagara. Have one last look at the sights of Niagara as you are transferred from your hotel to the airport this morning. As you board your return flight, your taste of Canada comes to a close. Hotels include Fairmont Château Laurier, Hotel Le Germain Maple Leaf Square and Marriott on the Falls. VIA Rail accommodations are in Business Class. Enter your details below if you would like to be notified when 2021 dates and prices are available for Ontario Food & Wine Experience. Prices are correct at the time of publication, however are subject to change at time of booking. Prices are land-only, per person based on double occupancy. Taxes are not included on rail portions and are subject to change.